This the free prequel to The Keepers : Archer read from author Rae Rivers. 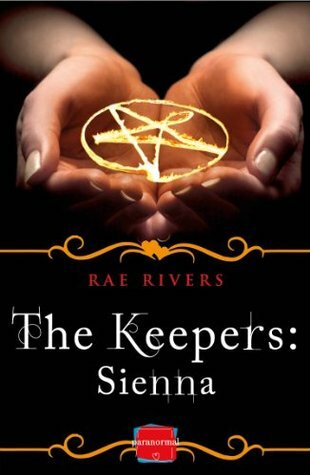 It takes you into a deeper look at the lives of the characters from the first book Archer and Sienna. Not wanting to give anything away here as you simply need to read it for yourself , I will be summing this up in a short and sweet version. We have the witch Sienna and one of her keepers Archer, the town carnival that brings it all into alignment, and leaves in it's wake the opening to a complete new world of sorcery, murder, revenge and the thirst for power, but best of all no one sees it coming! What could be better, it is like the unexpected badguy being revealed in a good old fashioned horror movie, only so much more entertaining! The characters were well written and the extra look into their lives gave me a little more insight into the how's and why's of the characters, basically it answered some questions for me that I had after reading The Keepers: Archer, and personally I wished that I had read this prequel first. Never the less, the author created a excellent plot and starting point for the leading you into the first book, and did so masterfully with vivid imagination and overwhelming mystery that there is no way anyone will be able to stop reading once they get started. Once again I really enjoyed the emotional punch the author packed with her characters and their actions, it blends perfectly with the running to and from in live that many of us struggle with on a daily basis, yes we are witches running from our keepers but we do run from a non normal life in search of a life bordering on a just a little more normalcy rather than running towards a solution for it all. I great prequel and packed all the info you would need to get set for the real ride.
" Carnivals are meant to be fun all night long, right?"